NFU President Minette Batters has kicked off the week by pledging her support for the campaign and urging the public to get behind British beef producers. In her video address, Mrs Batters highlighted the importance of Britain’s beef sector in providing high quality, tasty, versatile food for the nation as well as delivering world-leading environmental standards. 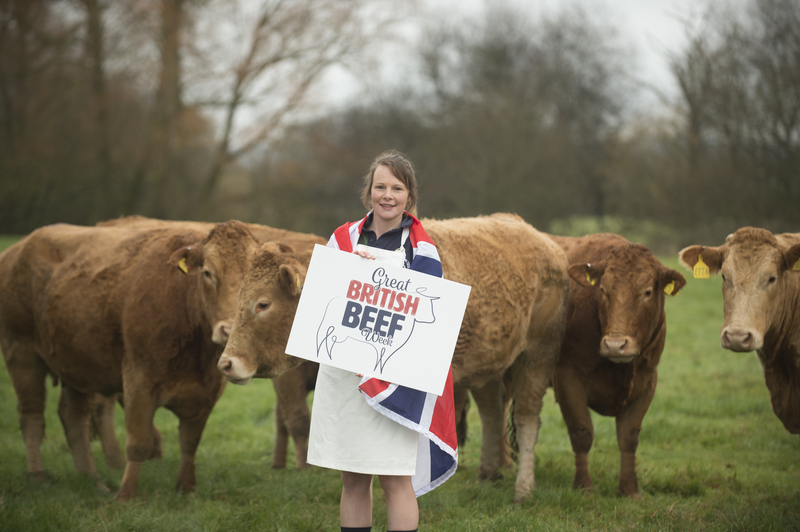 She said: “I’m thrilled to be supporting Ladies in Beef and Great British Beef Week at this crucially important time for British food and farming. “This campaign will help to remind people that there’s so much more to the British beef industry than many realise with grassland forming two thirds of the UK countryside. Having cattle eating that grass is absolutely pivotal to the success of our biodiversity and our environment – and the best way of using that land to produce quality food. “There are also so many nutritional benefits of eating British beef as part of a healthy, balanced diet with beef adding high levels of crucial protein, iron and zinc to our diets.